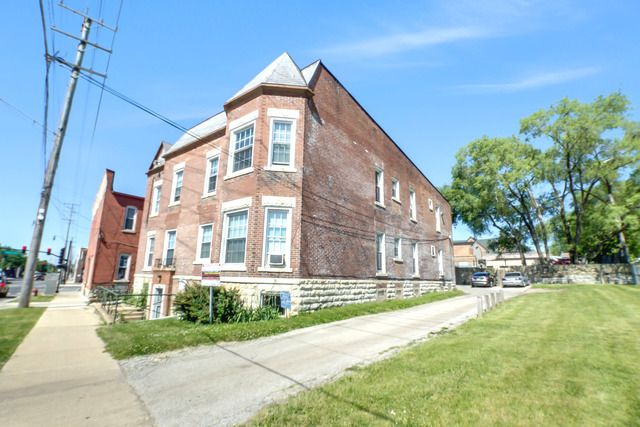 Amazing investment opportunity and chance to own a historic building in downtown aurora! Property is centrally located and walking distance that all downtown has to offer Hollywood Casino, Ballydoyle Irish Pub, Two Brothers Brewery, Endiro coffee cafe, train station and so much more! Building has been completely rehabbed, 8 large 1 bedroom units all rented, all similar layouts, all with living rooms, oversized bedrooms and nook/office area. 4 units have decorative fireplaces with mantels. Assigned parking for all tenants. Tenants pay gas and electric. Owner pays water and trash. Owned coin operated washer/dryer in building. Rent roll and expense sheet available upon request. Showings with accepted offers only.